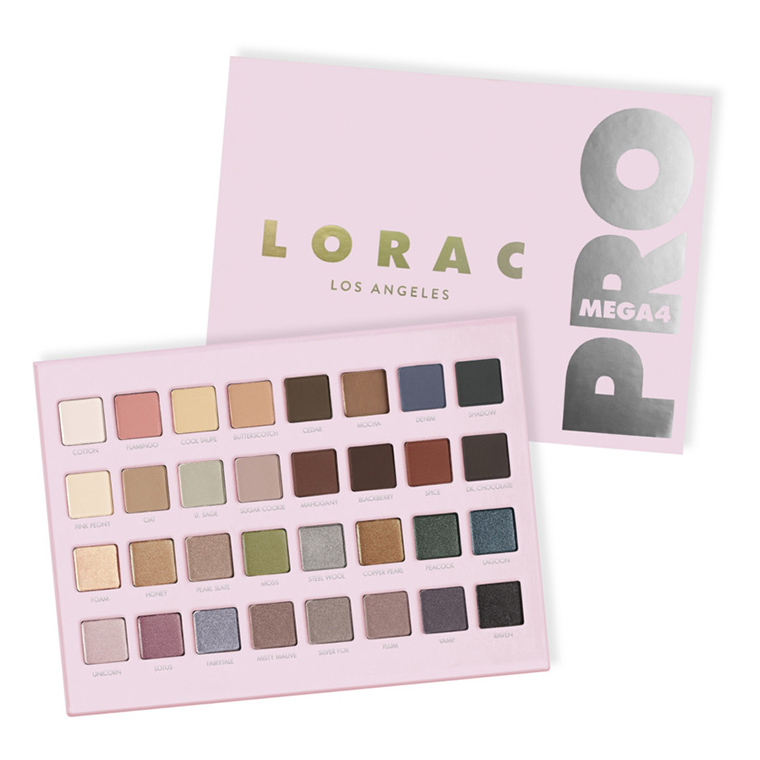 LORAC Holiday 2017 Launches including Mega PRO Palette 4! 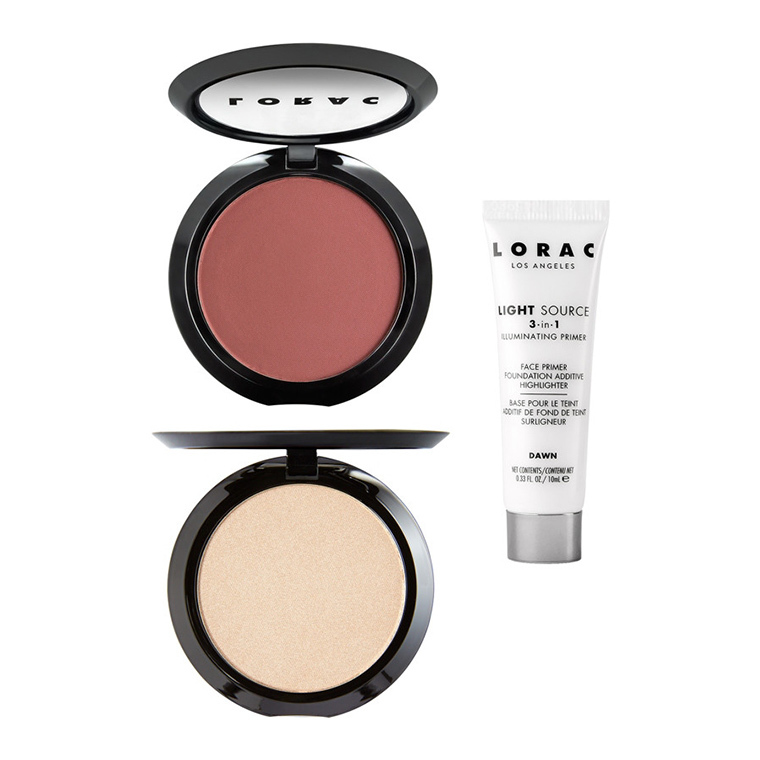 LORAC just released several of their holiday offerings at Ulta this morning! This limited edition PRO artistry palette is packed with 32 all new eye shadows in all the matte and shimmer shades you need to create the hottest looks straight from Hollywood. Lorac’s velvety shadows are ultra-pigmented with maximum payoff to perform wet or dry so you can shade, shadow, define and line your eyes, just like a PRO. You are a Modern Goddess and should be celebrated! 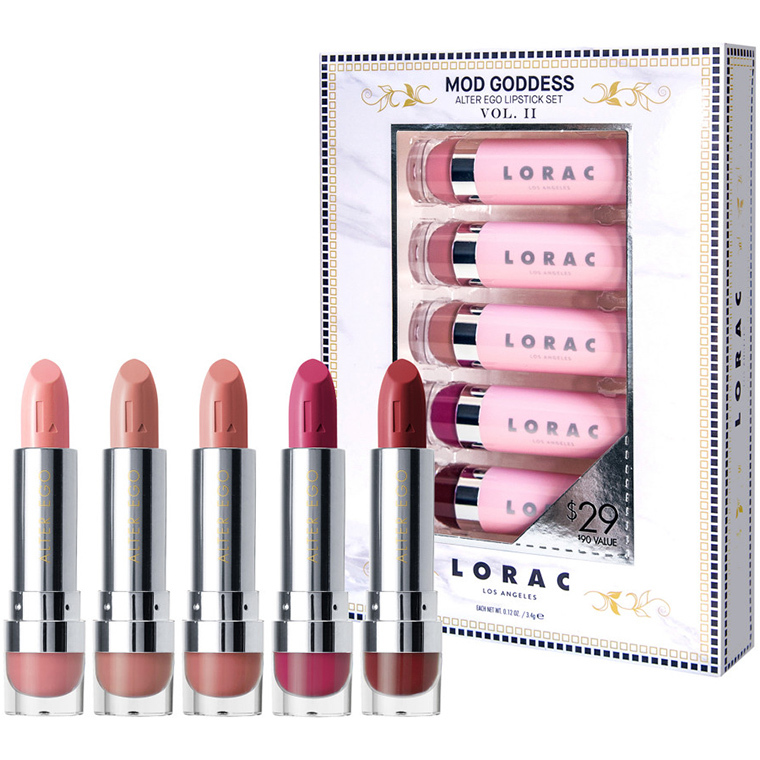 From the first swipe to the last kiss of the night, this limited-edition Lorac Los Angeles Mod Goddess Alter Ego Lipstick Set Vol. I will transform you into a goddess of beauty. The rest is up to you. Millennium pink overload:). My eyes! **. Not sure if I would use much of the palette, would have to see better pics. Maybe the pink background of the palette effects how I am seein the colors some. That’s what I’ve read. The palette shade seems to tinge the shadows in pix. Oh, well. Guess I’ll see. Bit. Looks more cool friendly than most of what we’ve been seeing. Not earth shattering, but at least a departure. I think pink was not a real good choice, but they’ve used white a lot. The pastel brunch, the mega 3. I, too, find it an odd choice. But think how ridiculous these shades would look in a black palette. I didn’t mind the maroon, do will prob get used to this. I think just lighter than medium taupe would have been a better color; it’s more neutral. I’m really not inspired by the color selection in this palette – but it’s nice to see something new that’s not full of warm neutrals of red-based pinks! This year’s Mega Palette seems to have more variation in shade colors than previous years! It could be the one bright spot this autumn and winter for me. Up until I saw this, I thought this year was a bust. I suppose I’m becoming jaded of late! Snagged the MegaPro 4 shadow palette 10 min after it launched last night, and Ulta already shipped it this morning, will have it by Friday, woohooo!! All of the other Mega Pro palettes have been mega yawns for me, as they appear to be 80% warm neutrals, but these colors are calling my name. And after using my Ulta dollars, only cost me $1 !!! Love Ulta !!! So excited for this! The Lorac MegaPros are my all-time favorite palettes. This MegaPro is my favorite so far as color selection. I very nearly bought it when it launched, but I decided in the end I had these kinds of shades in my collection and passed. 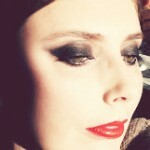 I like the eyeshadow colors, I’ve just not been a fan of their formula in the past. The highlighter though is one of my favorites. I love the look of that Mega Pro – and not too many pinks, oranges or reds either. Thank Goodness! Ugh! Too much pink!! 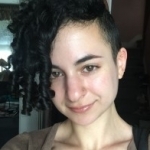 That said – I ordered the Alter Ego 20-piece anniversary collection from Hautelook a couple of weeks ago (AMAZING deal) and realized I LOVE the formula. 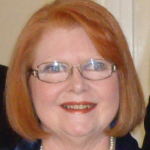 So, both lipstick sets are now on order, even though I need another lipstick like a hole in the head. Giggle…yep…after Lipstick Day, I would have thought I had been done..apparently, I am thinking to turn every day into Lipstick Day:). I shall have this addressed to Congress. 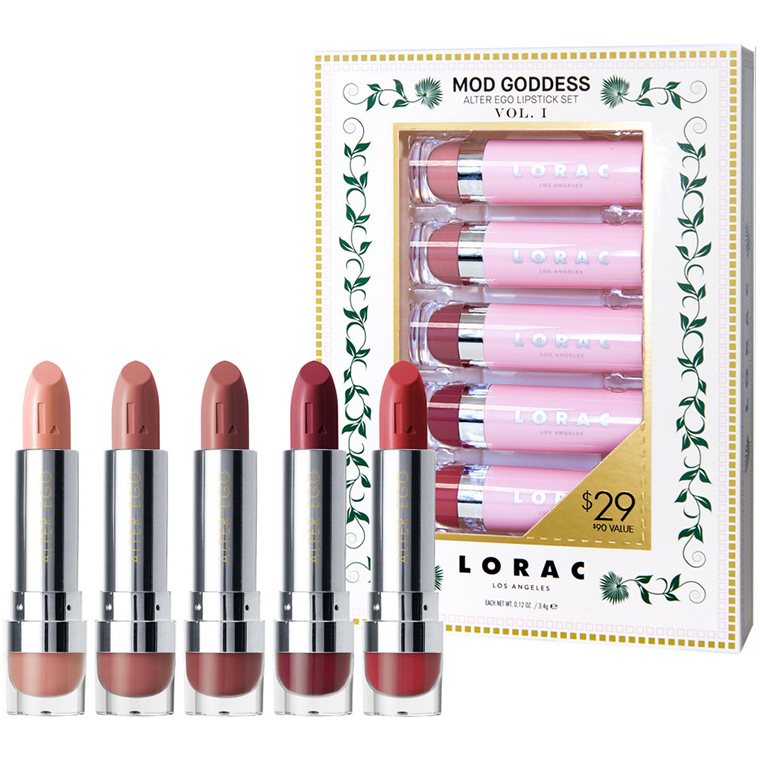 Interesting packaging choices for lip collections with “MOD” in the name. I would have expected something more bold and graphic and less like decorations I’ve seen in family photos from the 70’s.